Starting a private security company can be a financially rewarding experience. 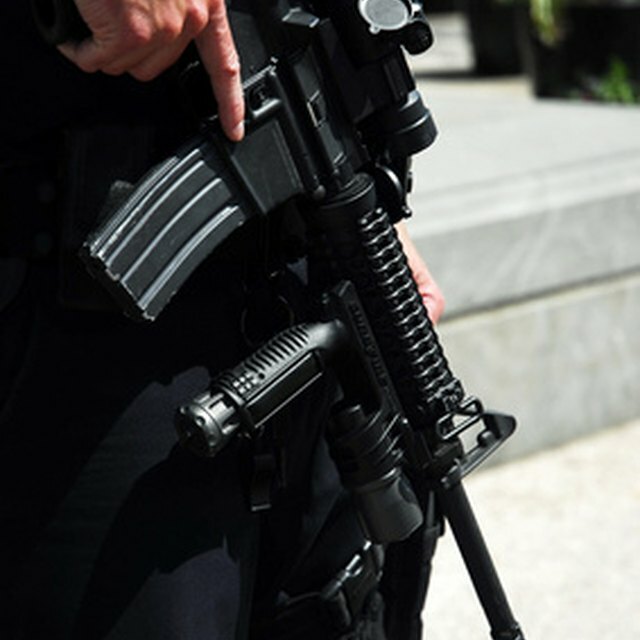 Private security officers work to protect a wide variety of business and residential clients. The rules and regulations concerning private security companies vary from state to state. You need to follow the procedures of your state in order to properly register to start a private security company. Enter an Internet search for “Corporate Division” plus the name of your state. Look for the official government website. This site will have “.gov” at the end of the link. In many states, the Office of the Secretary of State is in charge of incorporations. You can check with the local Chamber of Commerce if you need help locating the proper agency. Fill out the articles of incorporation and the other forms necessary to incorporate. Register the name of your corporation with the state. You must also register the name and address of the company’s statutory agent. A statutory agent accepts legal correspondence on behalf of the company. Pay the application fees. Search "Private Security Company License and Registration" and the name of your state on the Internet. Go to the website of the agency in charge of licensing and registration of private security companies. For example, in Arizona and Connecticut, the Department of Public Safety regulates private security companies. Are Security Companies Required to Be Bonded? Fill out the application required by your state to register your company. Include all the information necessary to prove that you qualify for a license according to state law. Qualifications include passing a background check and proving you have the required education and experience. Pay the application fees. Read your state law carefully. Some states also require the registration of employees.